You can see the cover of my latest book below. Darwin’s Dilemma: the damage done and the battle for the forests by Paula Morrow. This novel is based on two true stories. A fictional group investigate the truth behind a quote of Charles Darwin’s. Has the West emphasised one idea of Darwin’s, ignoring his other equally important idea? To the detriment of the planet? Also we have true eye-witness accounts of the young people who sleep on platforms high up in the trees, battling to save the last of Tasmania’s old-growth forests from destruction. Bushwalking, protest, philosophy and love: set in Tasmania, Newcastle, Mullumbimby and Byron Bay. Senator Bob Brown, former leader of the Australian Greens, said ‘I have the utmost admiration for these young people, who can live in the trees, live on nothing, in their efforts to save the forests’. 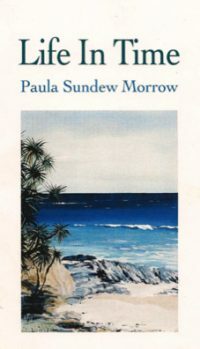 Peter Corris, Australia’s well-loved crime writer said of a previous novel by Paula Morrow, Life in Time, that ‘it kept me turning the pages until the end’. George Monbiot, Guardian jounalist and author of the book Heat, on climate change, read the section on the Styx Forest and recommended it. Peter Bishop of Varuna Writers Centre said that the idea behind this book is ‘potentially world-changing, an intellectual thriller’. I am going to start using this website. This is the first time I have used a blog/website apart from Facebook. I am in the recovery phase after standing as Greens’ candidate for the seat of Charlestown in the NSW state election on the 26th March 2011. Can get back to concentrating on the writing, publishing and PR now. And enjoying it! Good on you Paula, your amazing, all the the things you for the community. Hi Paula. This is nice!